The average weight of ham is 15 lbs. to 17 lbs. Serrano Ham Monte Nevado is a stabilized meat product with great sensory and nutritional qualities. It has a low salt content and smooth taste. To prepare the Serrano Ham Monte Nevado a slow and controlled curing process is used, keeping the traditions of old, when products had a long stay in the cellar. The Serrano Ham Monte Nevado comes from the hind legs of white layer pigs, which have the highest levels of fat and excellent qualities for the preparation of the Serrano Ham of slow curing. These pigs are reared in intensive farming system, basically fed with cereal fodders. Serrano Ham Monte Nevado is an exquisite Spanish Serrano Ham of traditional and emblematic flavor made with the best raw materials, ideals for the production of cured hams of the highest quality. This exquisite Serrano Ham remains in a prolonged stay in the cellar, which allows Serrano Ham Monte Nevado acquire its characteristic aroma and flavor, preserving the parameters of temperature, humidity, and hygiene controlled in all the processes. The ingestion of the Serrano Ham Monte Nevado brings great benefits to human health, since the Serrano Ham Monte Nevado contains lots of proteins that help the formation of tissues, as well as substantial amounts of vitamins, minerals, and unsaturated fats with a high percentage of oleic acid. 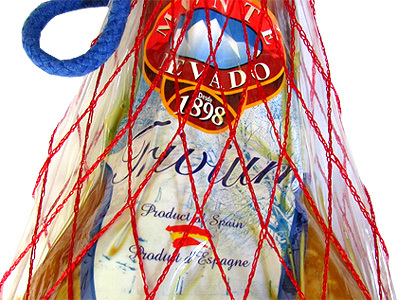 Serrano Ham Monte Nevado is an all-natural food with no added coloring or preservatives. It is recommended for all ages. This ham is an excellent ally of any diet for its nutritional value. It is an ideal food to prepare appetizers and sandwiches. Ingredients: pork, salt, sugar, E-252, E-250 preservatives and E-301 antioxidants. 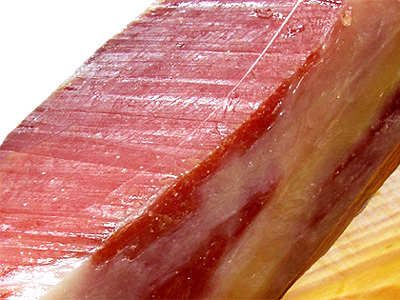 The Serrano Ham Monte Nevado is a food rich in high quality proteins. For better conservation it should be held in a dry, cool, ventilated place at a proper temperature. To start using the Serrano Ham Monte Nevado is advisable to cover the area exposed to the environment with a slice of bacon that was previously removed. This will prevent the cut surface of the Serrano Ham from darken and avoid the fat changes its color. The amount of Serrano Ham Monte Nevado that will be cut should always be that to be consumed, avoiding the dryness and oxidation of the leftover slices when exposed to air. Hence, if all the slices are not consumed, they must be wrapped in plastic or aluminum paper. 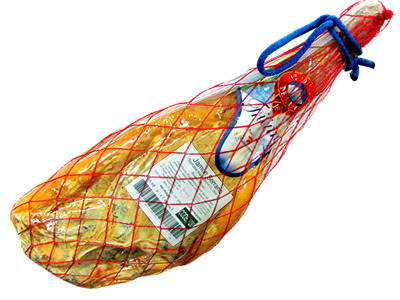 Serrano Ham Monte Nevado should be stored upright, if not completely consumed, with the leg up. Once you begin to taste the Serrano Ham, place it on a ham stand and cover the area exposed to the air with a cotton dishcloth for the product to breathe and to be properly preserved. The ideal place to store a Serrano Ham Monte Nevado and to preserve its organoleptic properties is at room temperature in the most stable possible conditions. Another important element is not to expose it to direct sunlight and moisture above 65%. If your consumption takes time and the ham start to have a thin layer of mold, you should remove it and the ham is ready for consumption again. The Serrano Ham Monte Nevado is a very distinct one that combines two fundamental factors: the careful selection of the raw materials and the tradition and experience in the preparation of the hams. That makes the Serrano Ham Monte Nevado one of the highest quality hams, occupying an important place in the world. Why Serrano Ham Monte Nevado is such a Special Product? The Serrano Ham Monte Nevado special quality is given by its excellent nutritional properties, which makes it a healthy product. It protects against cardiovascular diseases and reduces the cholesterol. This is a Serrano Ham with a high content of vitamins and minerals. It is also an antioxidant food. During the production process of the Serrano Ham Monte Nevado, specifically during the curing of this exquisite delicacy which exceeds twelve months, it develops all its taste nuances and aromas, giving as a result a product of intense and delicate flavor, soft on the palate with a pleasant aroma. 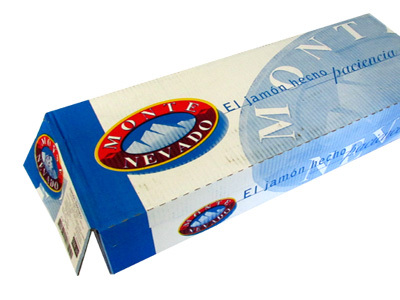 Genuine example of Spanish gastronomy, Serrano Ham Monte Nevado is a guarantee of quality for all consumers. Produced under the brand Monte Nevado, this Serrano Ham is a genuine example of the Spanish gastronomy, with characteristic aroma and flavor. This family business, founded in 1898, through the years has perfected its art and creates its hams with the best quality and excellent acceptance. They make the selection of the raw material considering its fat content and its high level of intramuscular infiltration. Serrano Ham Monte Nevado is an essentially natural food. 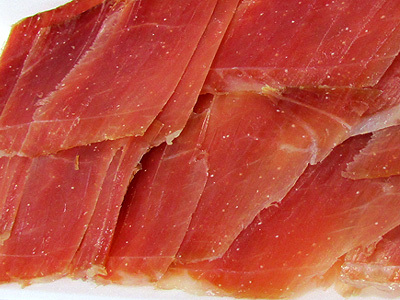 It has many nutritional qualities, recommended for a healthy and balanced diet is a highly digestible Serrano Ham. Furthermore, present in its composition are a good amount of vitamins and minerals. Of firm and slightly salty taste, Serrano Ham Monte Nevado is a guarantee of quality for the consumer. Made using traditional methods, and from a correct selection of the raw material, Serrano Ham Monte Nevado has a flavor and special features that make this product a genuine example of the highest quality, ready to be part of the most demanding diets. 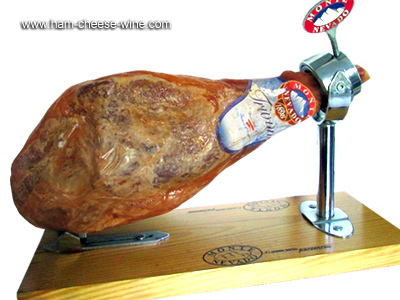 Ham Cheese Wine now brings you one of the best Serrano Hams as Serrano Ham Monte Nevado with full warranty. Our company was created by Francisco Carrasco, licensed professional master cutter from Spain and settled in Miami, Florida, United States. His experience of over 25 years as a professional cutter guarantees you the best product choice, Serrano Ham Monte Nevado.